These are great for small space decorating in bathrooms. Because the essentially just reroute your shower curtain to create more elbow room for whoever is standing in the bathtub, there’s no need to do any expensive ripping out of your bathroom’s infrastructure. 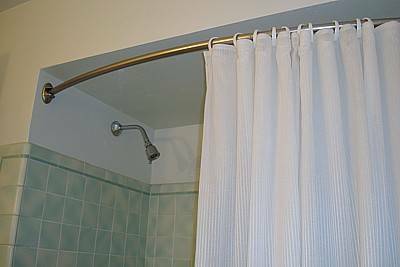 You simply need to swap out one shower rod for another, slightly upgraded one. The extra room in the shower feels amazing and makes a huge difference for those with older, narrow tubs in their home. These are typically available in a silver chrome color, which goes well with older bath fixtures of the same color. So if your faucets are all in decent shape, a towel warmer will fit right in. If they’re not, silver is usually the most affordable color to go with, allowing you to channel the money saved from avoiding brushed steel and hammered bronze into other upgrades. 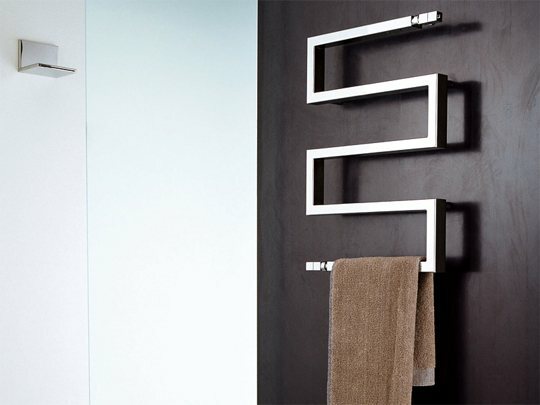 I also like the spa-like industrial feel that a tall towel warmer on your wall brings to the design table. It works well for those who prefer loft-style decorating and also for those who simply want a few jazzier features in the master bath. Swapping out a dated, basic shower head can make all the difference, especially if the older one you’re currently using is too clogged to permit adequate water flow. My favorites are the rainfall and handheld varieties. Options are also available that combine both of those options, if you’re willing to spend a few more pennies. Updating your bathroom linens is a simple, yet often overlooked budget decorating strategy. While purchasing them at full price is still a money saver compared to pricier remodels, you can save even more by hitting the discount home good stores. A few bath sheets, some hand towels and a supply of wash cloths in a modern color can spruce things up in a jiffy while providing a bit of luxury as well. 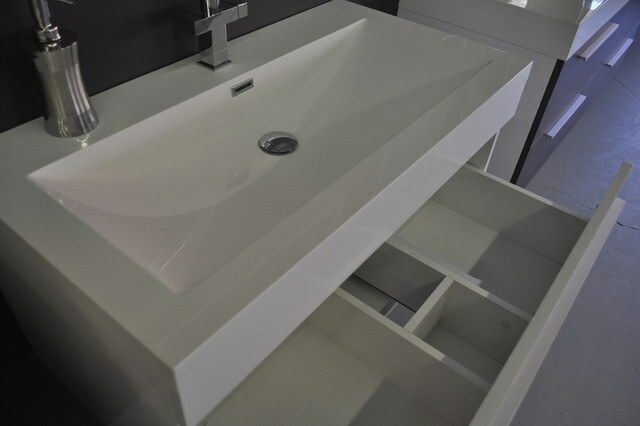 Certainly, there are some cases when a full-scale bathroom remodel is order. However, if your main amenities are in a good-condition neutral color and the overall bones of the room are in decent shape, choosing a few precision upgrades can save you a great deal of time, money and frustration. Our city gives out free showerheads that are water savers. Definitely something to check out. Other options – check out a local Habitat for Humanities ReStore for discounted appliance updates.